There are many rehab centers in the United States that improve the lives of alcohol and drug abusers. Those that work offer evidence-based treatment programs that meet the needs of each substance user to help maintain long-term sobriety and rehabilitation. Many of these centers, however, do not have data to demonstrate their own effectiveness. Most alcohol and drug rehab centers in the United States measure their effectiveness only by the percent of clients who complete their program. They have no system to track their clients for other useful data on long-term abstinence and other outcomes, such as family, social, work, school, and criminal rehabilitation. According to the Office of National Drug Control Policy (ONDCP), there are only a few databases in the United States that assess how well rehab centers work in general. The conclusion of these studies and the ONDCP is that substance abuse treatment works, although who it works best for is not yet clear. At one year after treatment, overall there was a 50% reduction in outcomes, such as drug use, illegal activity, and psychological problems for all drugs. The five year follow-up data showed similar findings. Cocaine was the most common drug used. Only 28% of users relapsed to weekly cocaine use during the year after discharge from treatment. At five years after treatment, only 25% of users were still using cocaine. For alcohol, daily alcohol use decreased from 22% to 4% at five years, while criminal activity went from 40% to 16% at one year, but increased to 25% at five years. For opioid use, as reported in the Journal of Substance Abuse Treatment, a study found that only 28% of opioid users who were treated in outpatient methadone rehab centers were still in treatment at five years. The longer a user stays in a rehab center, the greater his chance of a more successful treatment. The more severe the substance use problem, the greater the chance of dropout from a program or relapse to drug use. If the substance use and a user's circumstances are severe, her outcome will be better in long-term treatment in a residential center. Therefore, a user should choose a setting that best suits her set of circumstances. For an initial treatment or retreatment, a drug rehab center should last at least 90 days. Some people need a minimum of six months and for others, treatment may needed for years, especially those with more severe dysfunctions from their substance use. People on methadone maintenance benefit from at least one year of treatment. A comprehensive outpatient rehab center can be as effective as an inpatient one, according to NIDA. As drug abuse and addiction is considered a chronic disease like diabetes or high blood pressure, relapses are expected and should be planned for. At the end of treatment, a drug rehab center should provide a client with support services and a coordinated, long-term plan to stay engaged in a program and manage relapses. Rehab centers work when their programs follow NIDA and other research guidelines for individualized, comprehensive treatment. To improve the chance for a successful outcome, a substance user should choose a center that suits his circumstances and will support her long-term abstinence and rehabilitation. 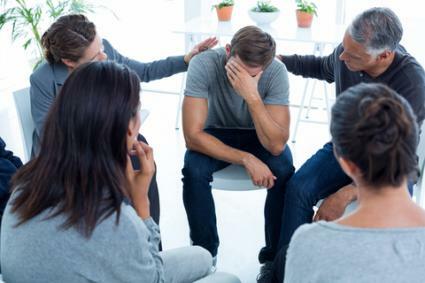 Although there are many rehab centers in the U. S. that offer effective treatment and services, according to the Substance Abuse and Mental Health Services Administration (SAMHSA), only about 10% of the millions of substance abusers enroll in them. SAMHSA's Behavioral Health Treatment Services Locator: You can find outpatient and inpatient residential or hospital-based rehab programs through SAMHSA's website. The American Society for Addiction Medicine: This website also maintains a nationwide directory of addiction medicine specialists. The American Academy for Addiction Psychiatry: This website helps you locate a physician addiction specialist. There are many drug and alcohol treatment centers in the U. S., which you can research to find the one you need. If you or someone you love needs help, then using the above resources allows you to locate an effective treatment center.